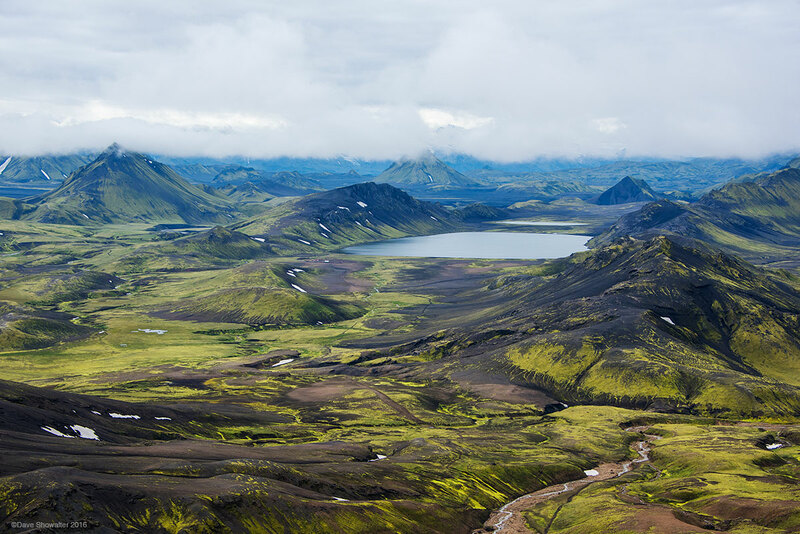 A rugged volcanic landscape surrounds Alfvatn, a lake on the Laugevegur Trek andour campsite after a tough day on the trail. The scene was made more surreal after climbing from the tawny landscape of the Laugahraun lava field, when fifty shades of green were revealed and our goal for the day in view. Photo © copyright by Dave Showalter.